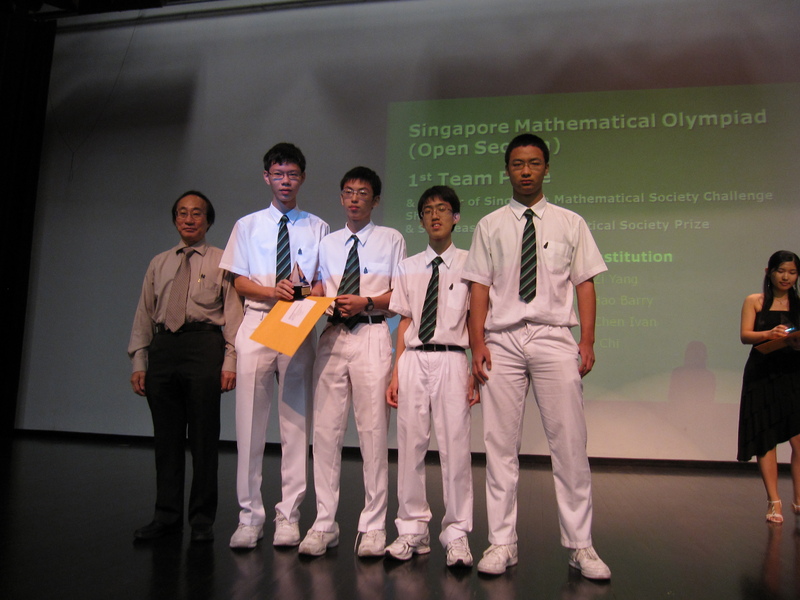 In yet another strong showing, the Raffles Institution team clinched both the Senior and Open Section Team 1st prize, as well as the 2nd team prize in the Junior Section of the 2009 Singapore Mathematics Olympiad. 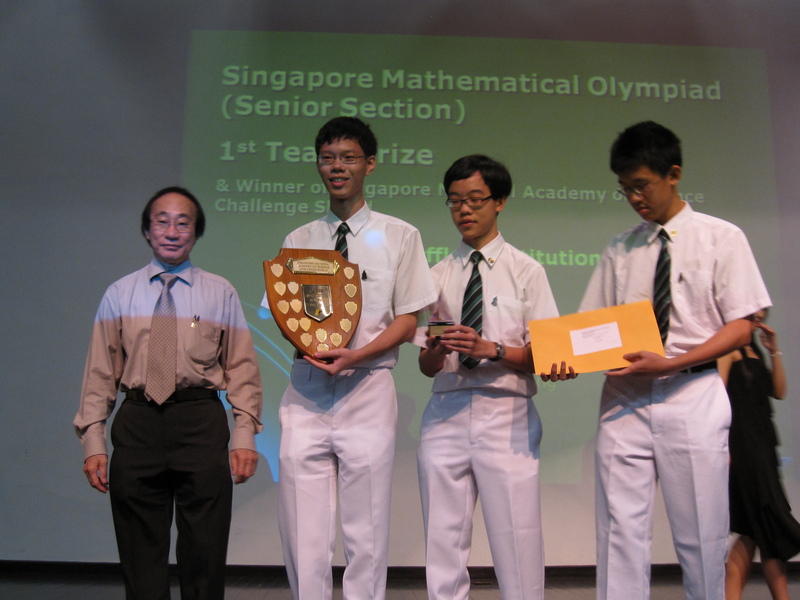 Both Ivan Loh Yao Chen and Kang Zi Yang also clinched top individual honours in their respective sections. With 5 in the Top 30 in the Junior Section, 11 in the Top 30 for the Senior Section and 12 in the Top 30 for the Open Section, Raffles Institution is undoubtedly once again the top performing school in this competition.